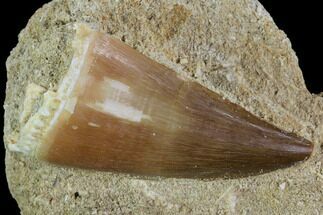 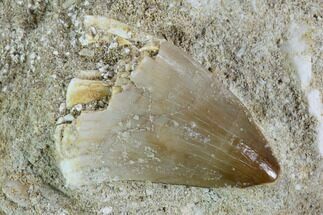 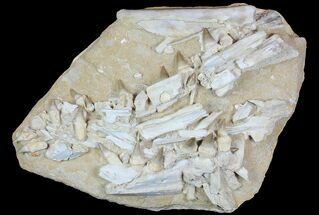 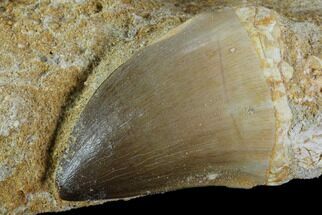 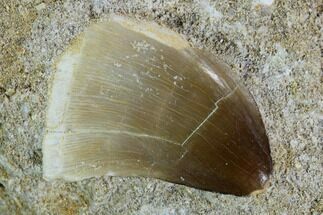 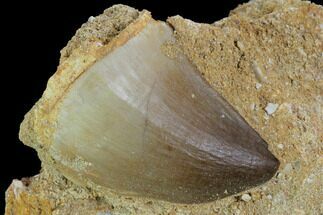 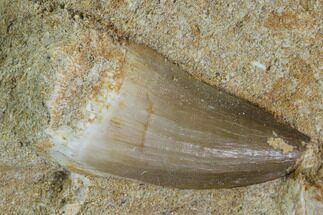 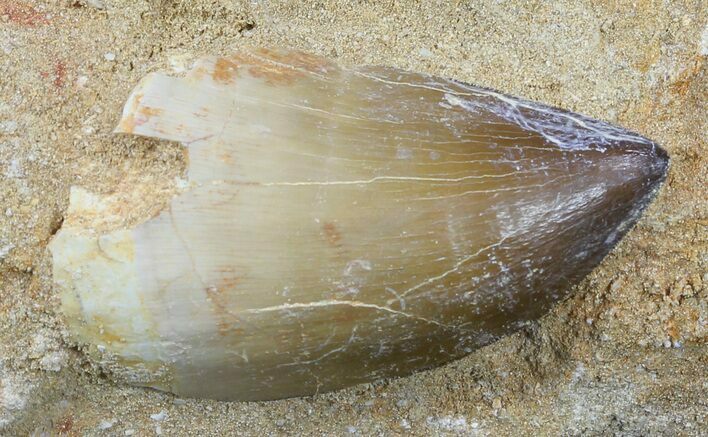 This is an large tooth of Prognathodon, a large type of Mosasaur from the Late Cretaceous, phosphate deposits near Khourigba, Morocco. 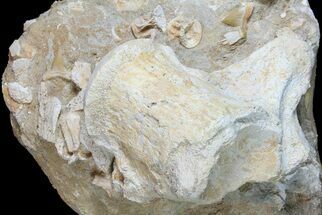 It's still partially embedded in the rock it was found in, but work has been done to expose it and bring it out in nice relief against the rock. 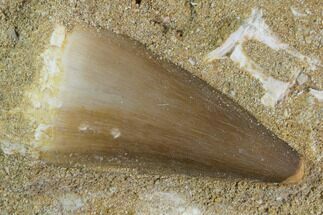 There is a repaired crack near the tip of the tooth.